I haven't changed things up too much, but I do want to let you know the products I swear by. First, let me say that my hair is naturally wavy, but not the "pretty mermaid" kind. I have a ton of it, but the actual texture is very soft and fine. I wash it every two days, and can't go any longer because that's just a personal preference. I have friends who wash theirs every day, and I have some that can go up to four. I think it depends on your hair's texture. It also depends on your lifestyle. Every two days is perfect for me. So that's the back story. You ladies know I chopped it early this year after frying it during and after my wedding and honeymoon. I felt a new sense of self after getting married, and I wanted my outer appearance to reflect that, however slight the change might have seemed. So as you can see, the color is still the same. My hair is naturally pretty dark, but I do darken it up with all-over color about two or three times per year to keep it rich. If it ever looks lighter, it's either the sunlight or it's faded a bit. My color holds a lot of red. You can buy it at any drugstore, it smells amazing, and it's really whipped my dry scalp into shape. It does contain sulfates, which was something I was against for a long time, but now that I don't color my hair very often, I really don't mind. It's also super affordable. I use this about once per week for extra moisture. 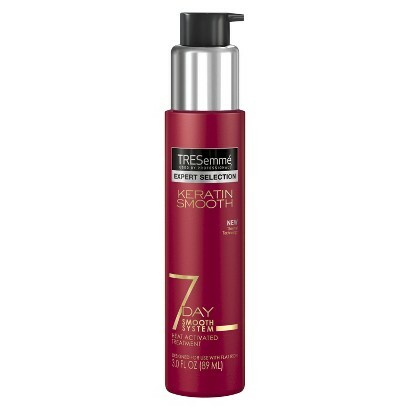 It really helps to soften my ends and eliminate extra frizz. Don't get me wrong, my hair is still frizzy as Hell even after using this, but it's less so. I mentioned the Aveda Volumizing Tonic a few weeks back, and it really is the lightest but most effective volumizer I've ever tried. It really adds some natural body to my fine hair without weighing it down too much. I only use this when I want super straight locks. It really works, to my own surprise! It sounded like a gimmick to me, but I tried it using a coupon and I really enjoy it. It works with the heat of your straightener. I use a GHD by the way, and have for years now. Before that, I loved my Chi. Both are great if you're in the market for one. I don't curl my hair very often, maybe just a couple times per month. I have a Hot Tools for that. And I'm laughing because I just realized that my hair is all curls in the pictures above! 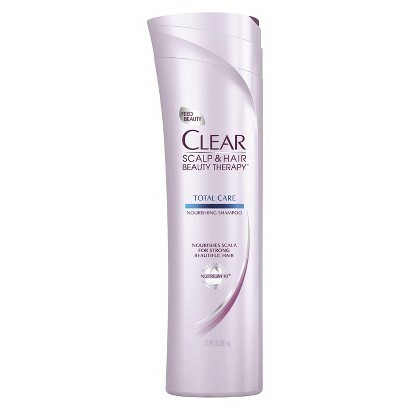 My all-time favorite for shine and smoothing after I finish styling my hair. If you haven't tried it, you need to. My friend introduced me to this, as well as many of you beauty bloggers who convinced me I needed it. There's a wonderful salon in my area that sells it exclusively, so it's quite convenient (albeit expensive). It's really pricey, but worth the volume it provides. Nothing makes my hair bigger than this. Not that I have big hair at all, but it does reach the ceiling until I smooth it down with a brush! So this seems like a lot, doesn't it? I don't feel it in my routine though, probably because I don't use these on a daily basis. I hope this helps any of you who are interested in new products. I can attest to the quality of them all. Thanks for sharing the details of your routine, Noelle! You obviously have it down to a science since your hair always looks shiny and healthy. I said I was going to try that Aveda volumizing product last time you posted it and I totally forgot, so thanks for the reminder! Enjoy your vacation and see you when you get back! I love Aveda! I may need to try that product. Hawaii looks marvelous. Let me know if you do Amy Ann! I love the way their products smell. Very clean. I am eyeing on trying out the Aveda Volumizing Tonic. I really have fine looking hair and I want some volume on it and I think this could help. It seems like a good one to try out. Your hair is seriously so pretty!!! I love the color and how it looks curled. 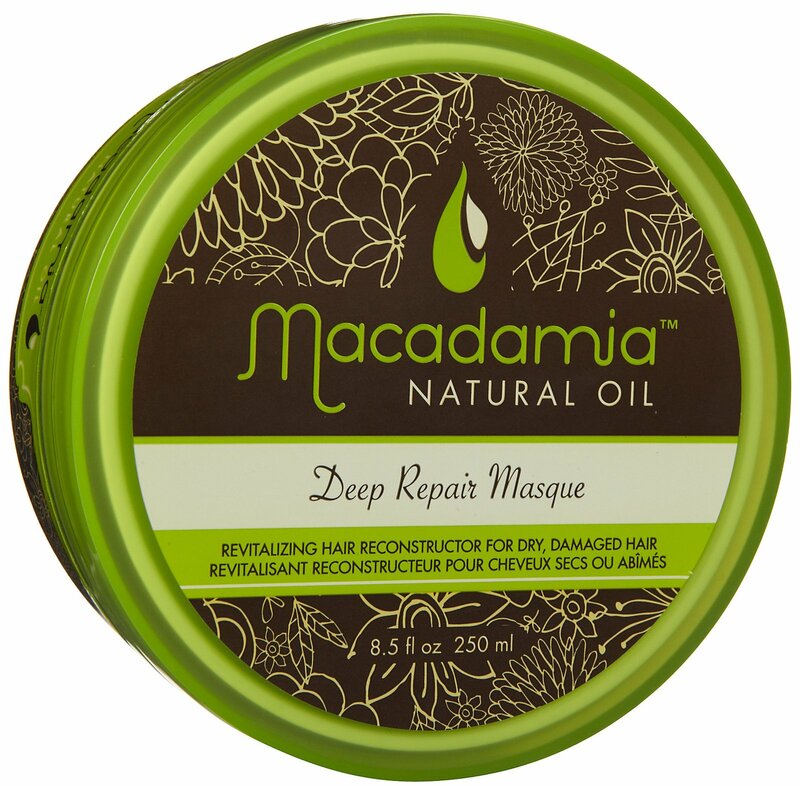 From your list - I own and use the Macadamia Mask & Aveda Tonic... the Oribe has been on my list for a while - I may have to just BUY it already LOL! I want your hair Zeba! Your hair also looks amazing curled. I think you need the Oribe texture spray in your life. It's such a unique product that really boosts the roots!